We are human but we walk in the light of God. But we are born into a sinful world. Every day in the paper you read the most evil headlines. You and I do not need to be like this. When people are evil be kind to them. In time these hurts and headaches will be on the mend. Give a warm smile to people you do not know. Try it and give it a go. They may feel low but a smile will lift them high. Bring them alive that their spirits may fly. Christ was the prime example of loving everyone. Take it, cherish it, you are part of God’s great plan. Expect to see miracles and wonders when we take hold. The things that troubled us in the past will quickly dissipate. Be happy walk with a smile have fun. The victory over evil has won. Lonely people will never feel alone again. We are a new creation, member of the highest Order in Gods wonderful family. Embrace the change hold it tight. Victory is secured you no longer need to fight. Walk in the light, the love and warmth of the divine. Christ’s resurrection was the sign. Imaging Angels are guiding you every day. 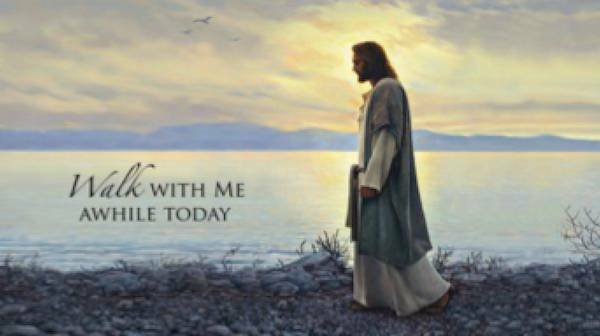 Christ taking you by the hand and walking with you throughout time. Smile at prople who smile back at you. You set in motion a pattern that can change peoples lives forever. Give thanks to God and be at peace. There may be pain in our lifetime, but we are not alone. With God everything is planned.